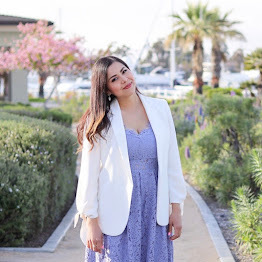 Today I bring you the second look that I styled for the Wallis' SUMMER STYLE Blogger Contest- which is now open for voting! I would be so grateful if you took a moment to vote for my look here! Last week I showed you how I styled their black and white tribal dress by adding pops of neon. When it came to picking out a second item, I decided to pick another black and white dress because I could be more creative with the styling- plus this dress looked comfortable which I am happy to report, it is! For styling, I decided to stick with white accessories, lucite jewelry and a bold red lip as my pop of color for a nice day out. About the Outfit: Dress ℅ Wallis, Shoedazzle "GALLY" Wedges, Tory Burch Lucite Cuff, Prabal Gurung for Target Necklace, Handbag Deal: Just Fab or Splurge: 3.1 Phillip Lim, MAC "Ruby Woo" Lipstick. So chic! Loving maxi's lately too! What a GREAT maxi dress!! Love it. Your dress is just gorgeous! So chic! LOVE those shoes! You look great girl! voted!!! love the dress, you look very pretty!!! I love the look and just voted for you. I hope you win, Paulina. Good luck! wow amzing maxi. blk and white is my fave . xO! I love maxi dresses, and this one looks great on you!! You are perfection in this dress!! You're so gorgeous Paulina! !